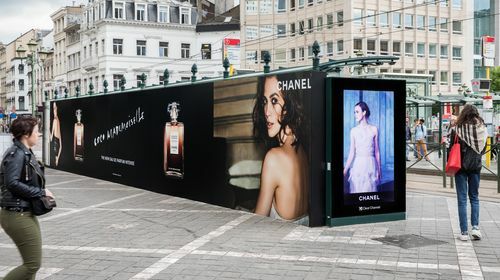 You can’t ignore them! 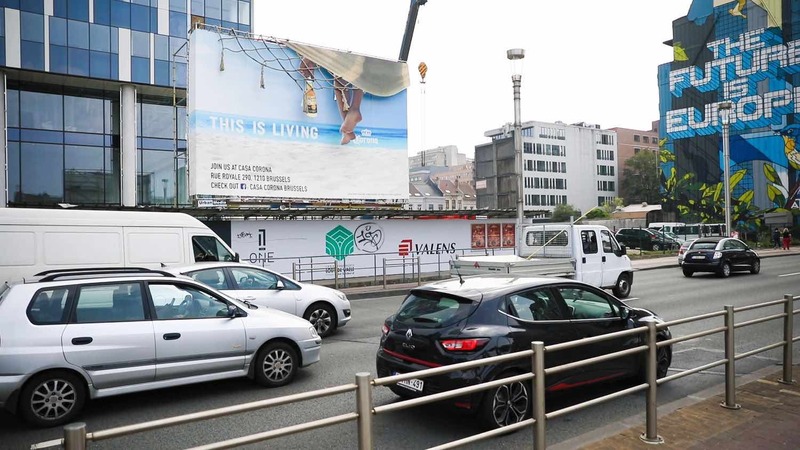 Our mega banners are gigantic and can be found in the most strategic locations in busy city centers. 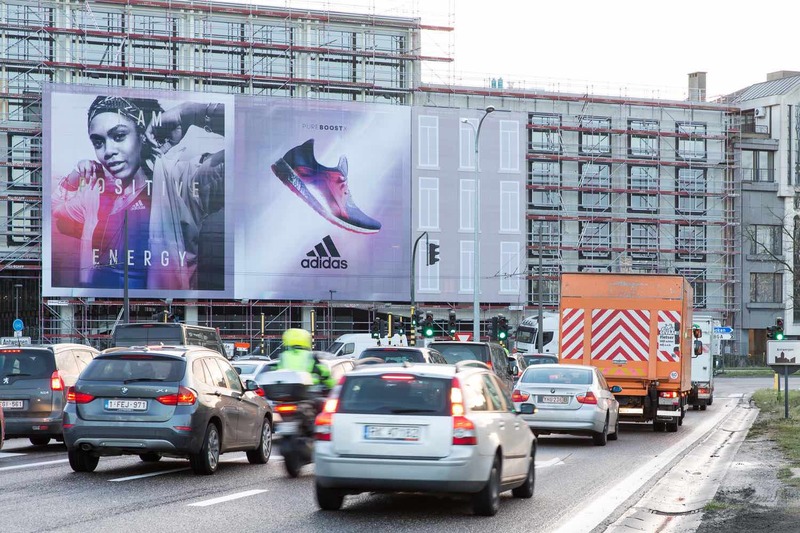 Their size and location mean they offer a high visibility catching the attention of many commuters and passers-by. 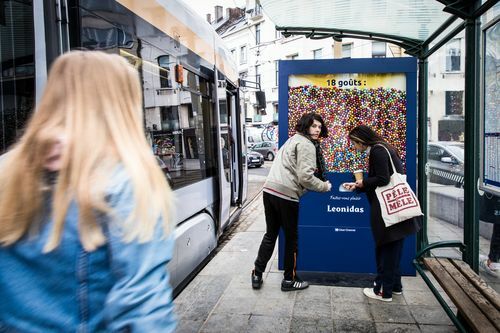 They are also extremely colourful while carrying clear and simple messages. 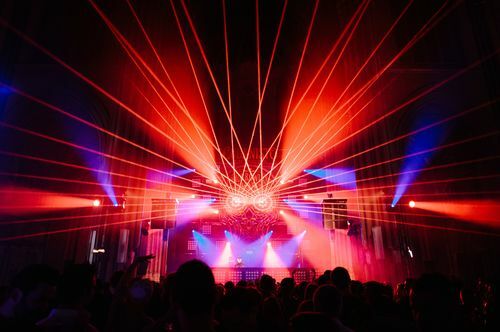 The creative possibilities are endless: holographic projections, 3D effects, special cut-outs, incorporated LED lights etc. 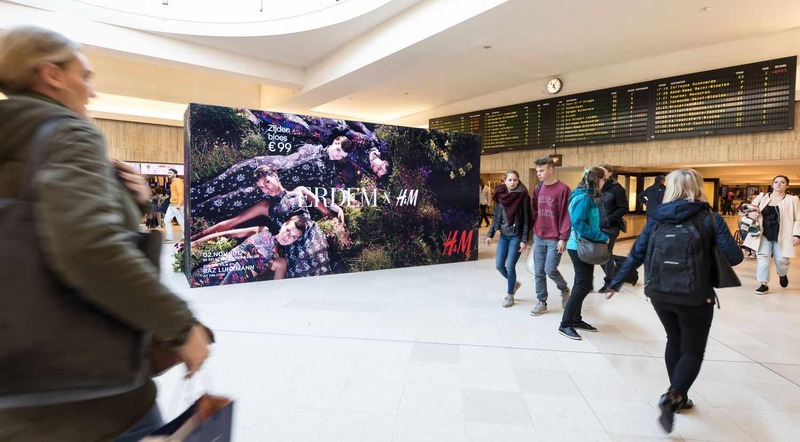 THE mega impact medium to increase your brand awareness. 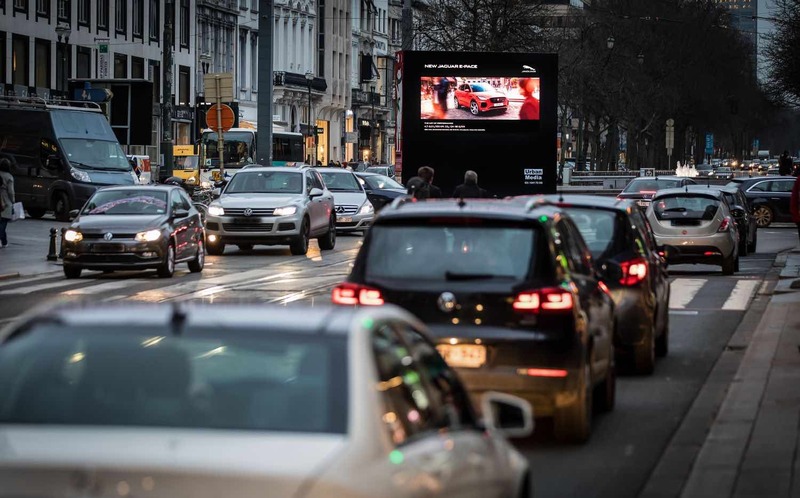 For a powerful impact, you can also choose to communicate on our temporary digital screens. 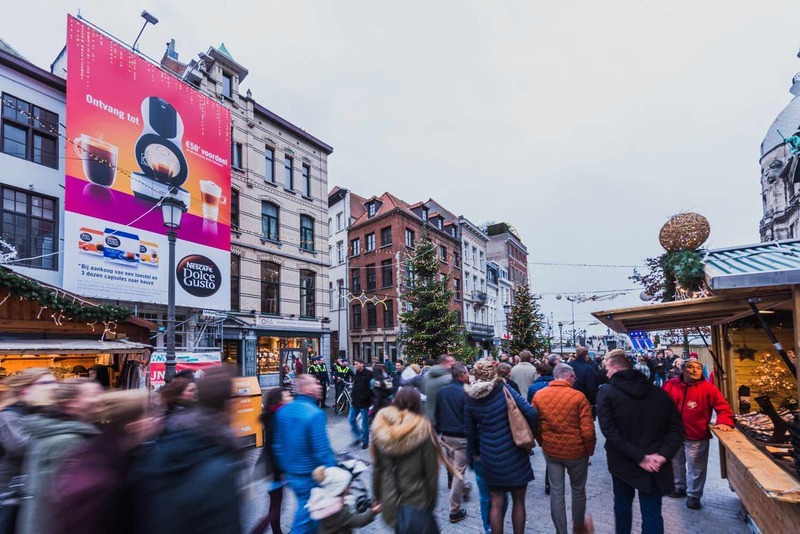 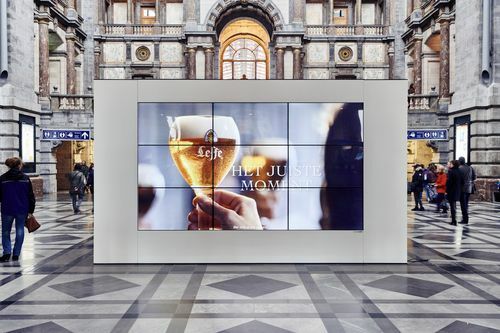 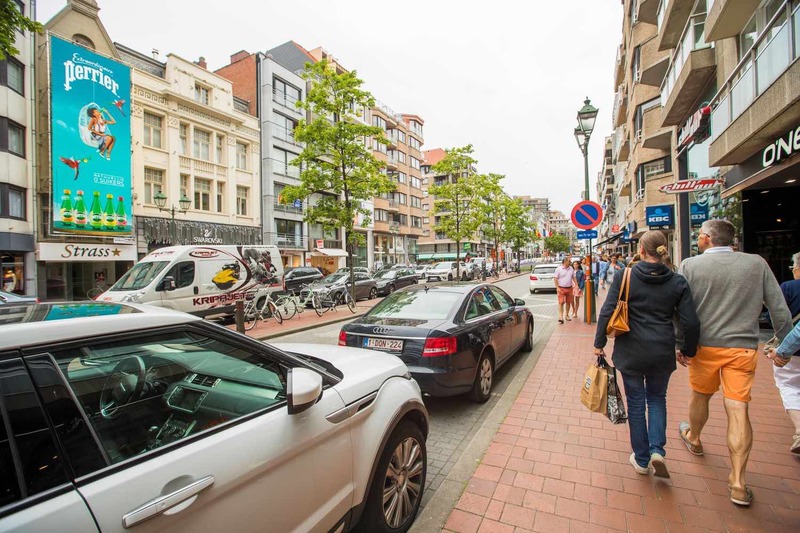 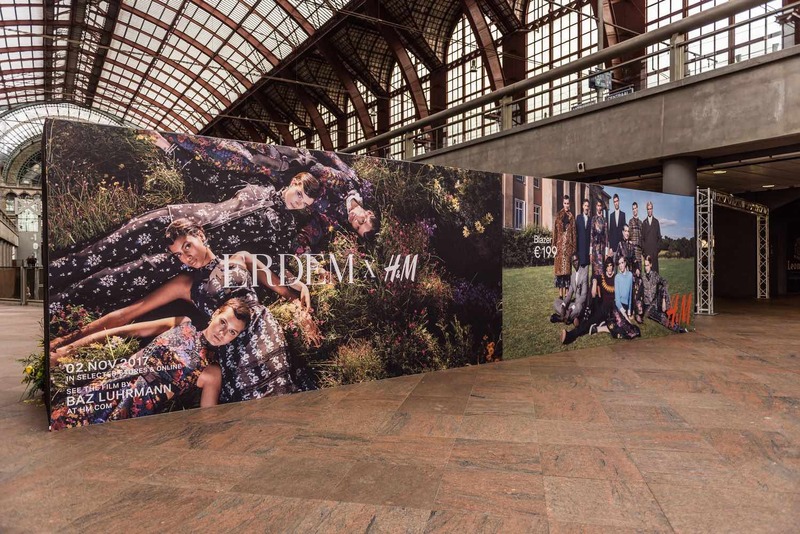 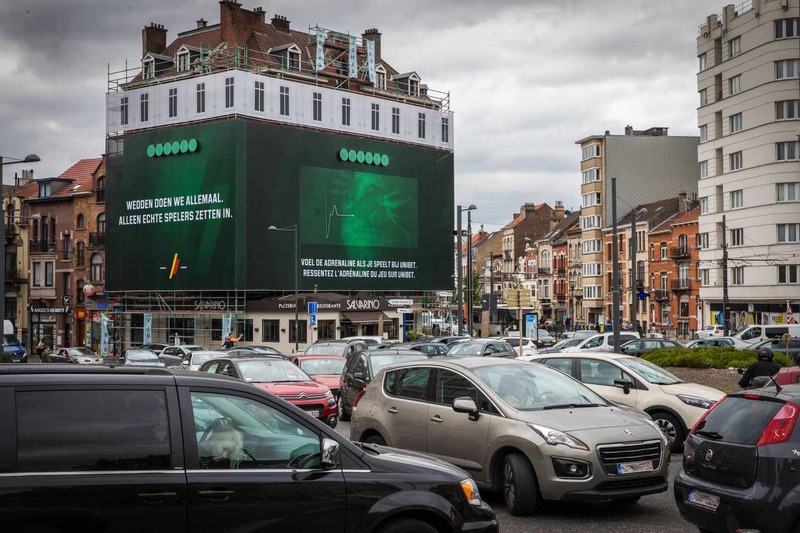 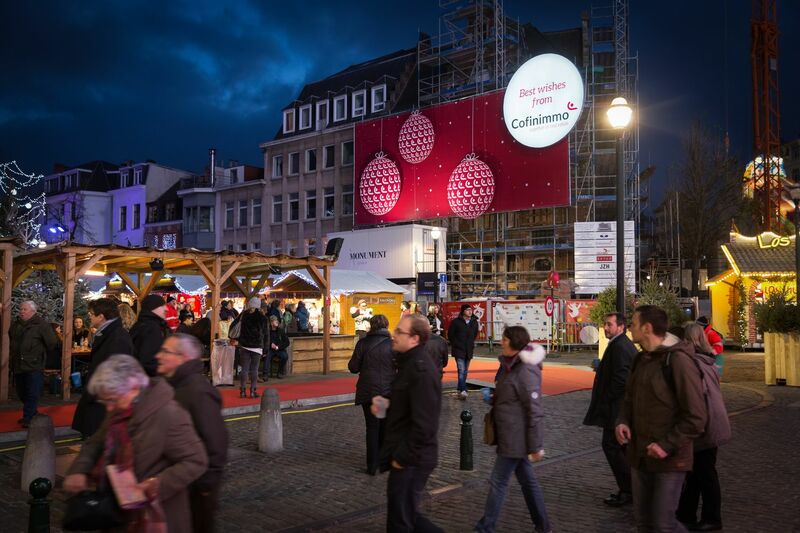 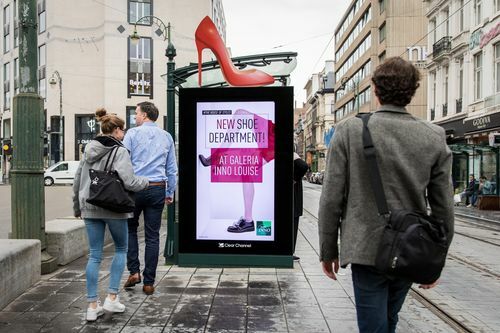 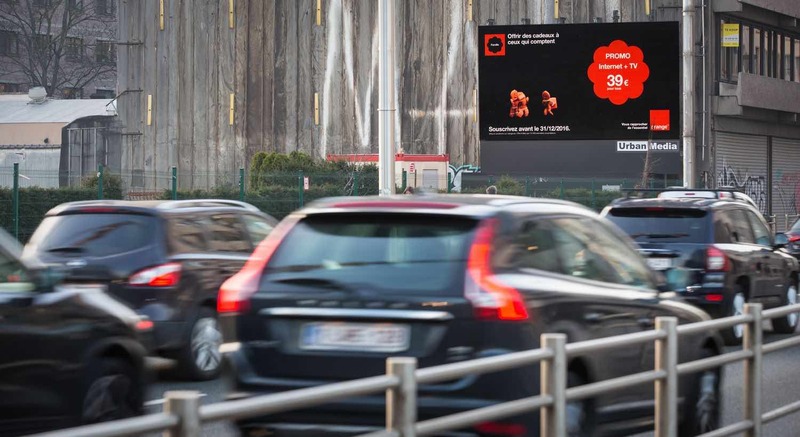 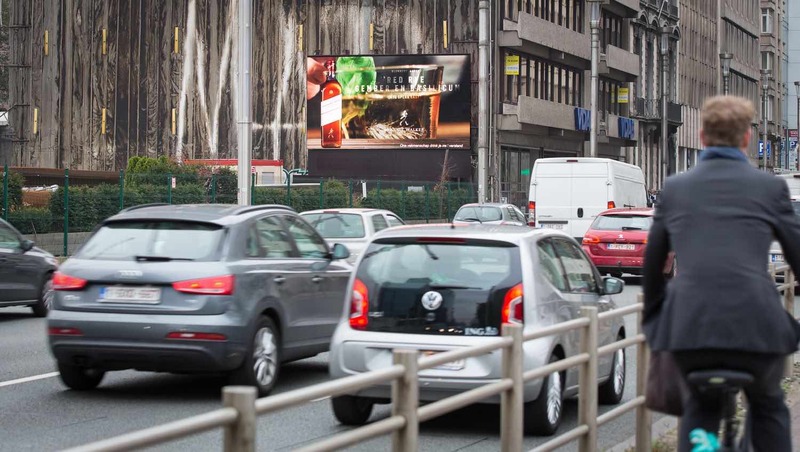 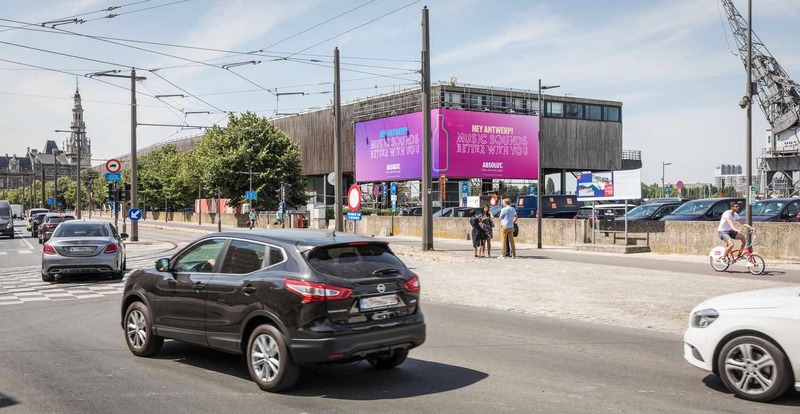 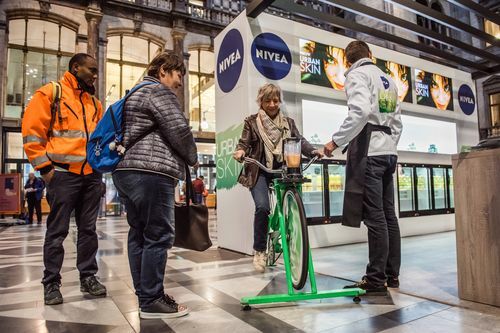 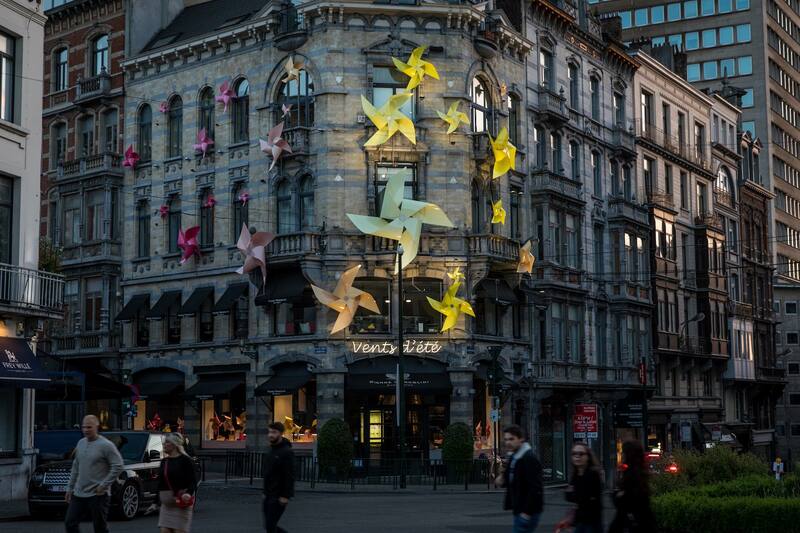 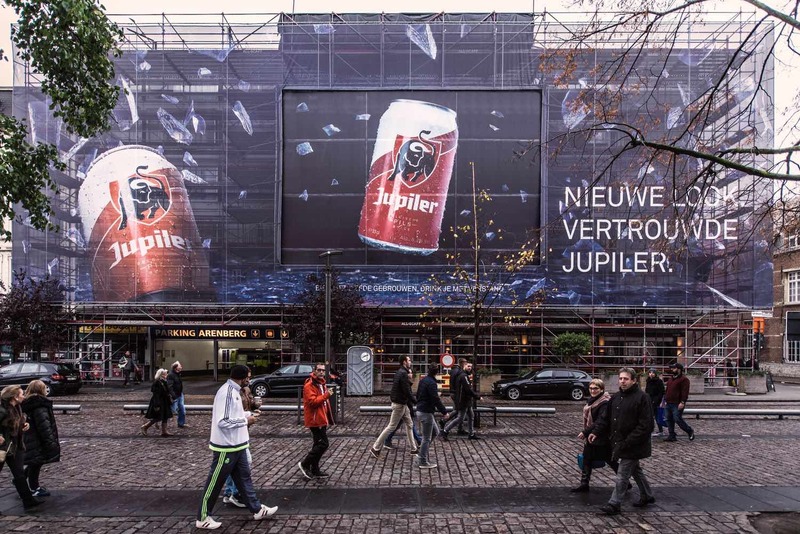 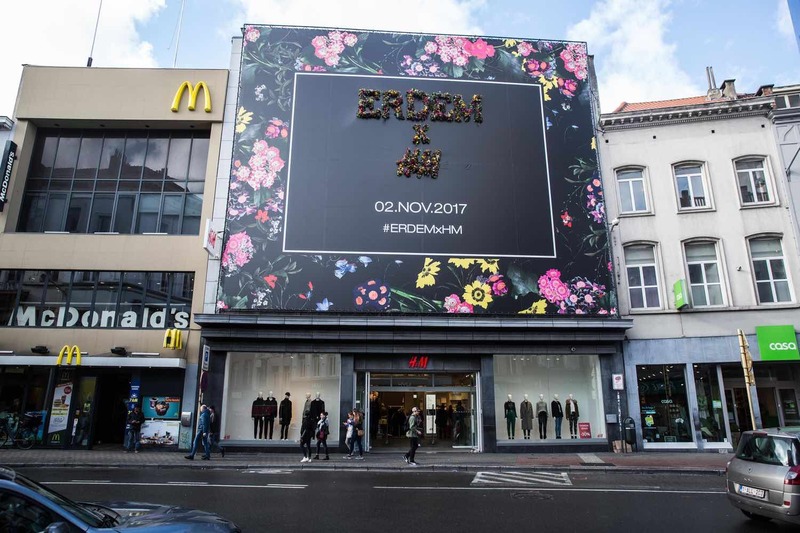 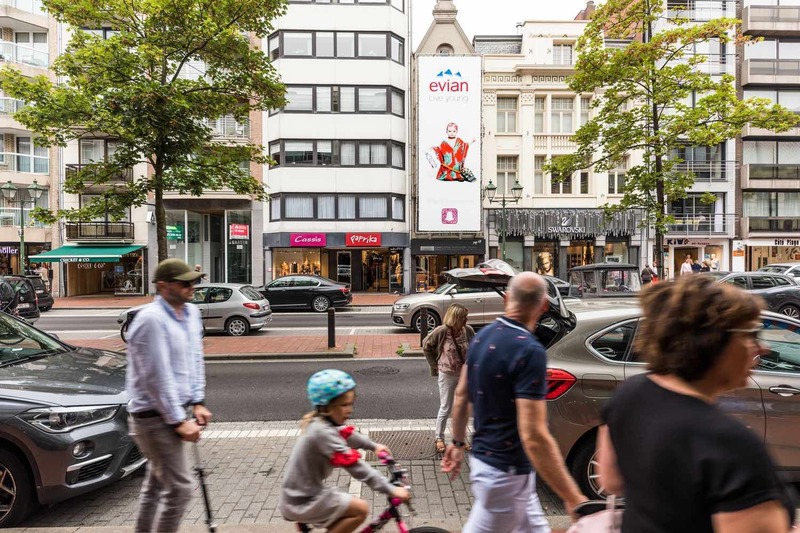 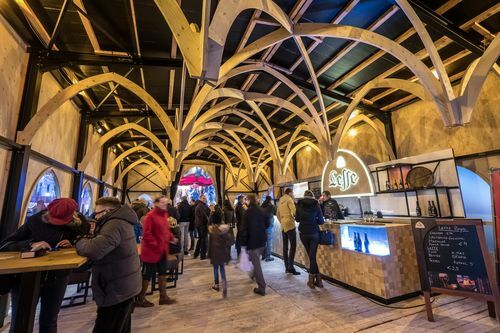 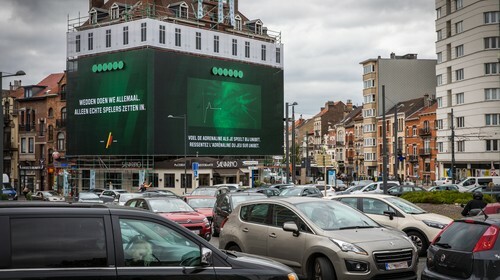 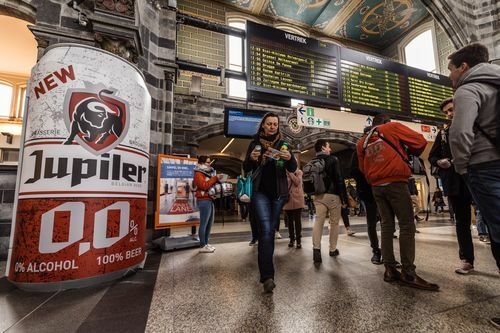 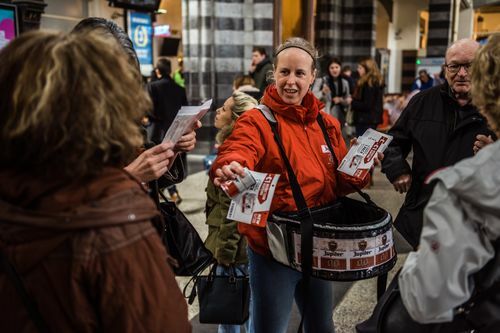 They offer a powerful value proposition to turn your campaign into a memorable brand experience thanks to their premium locations in areas such as Place Stéphanie, Rue de la Loi of Groenplaats in Antwerp. 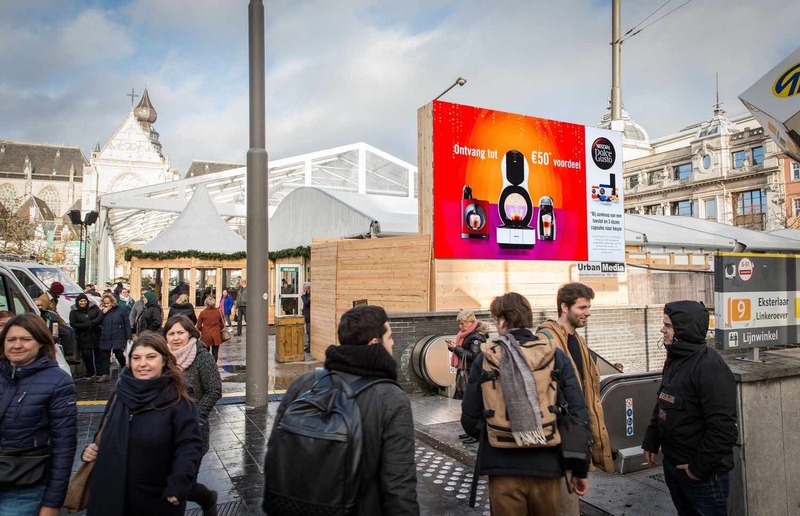 Our temporary digital screens offers also include the Video Cube, the Wall and Wall XL that are made of high definition LCD or LED screens. 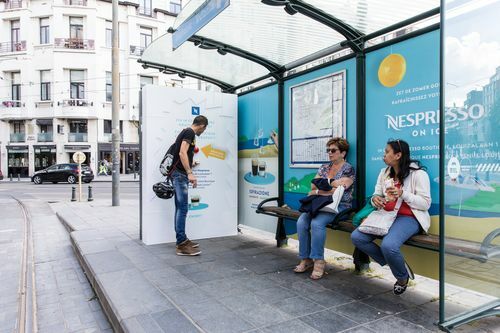 These solutions create brand new communication possibilities. 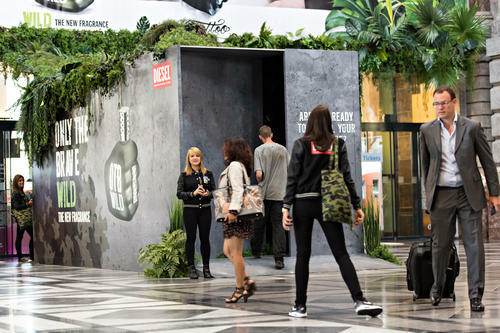 In both indoor and outdoor environments, the public remains highly responsive to creative messages. 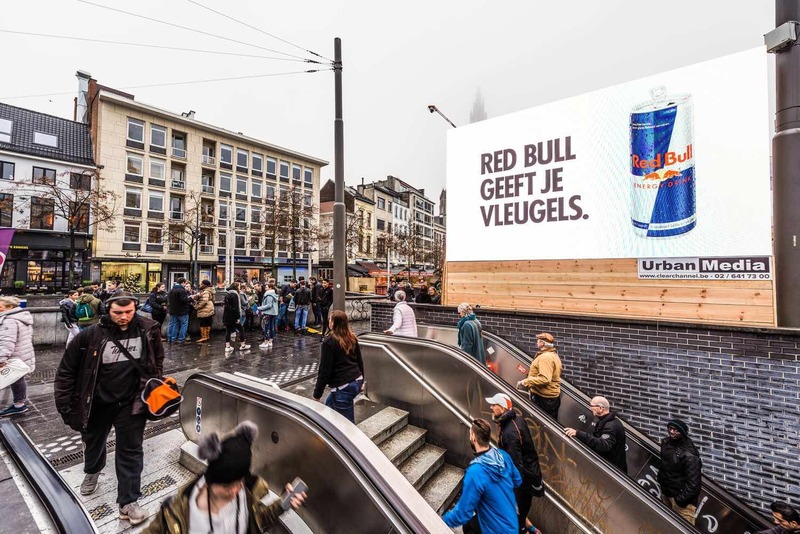 From paper to pixels: with Create, Urban Media delivers the unexpected and helps brands meet people in new and innovative ways. 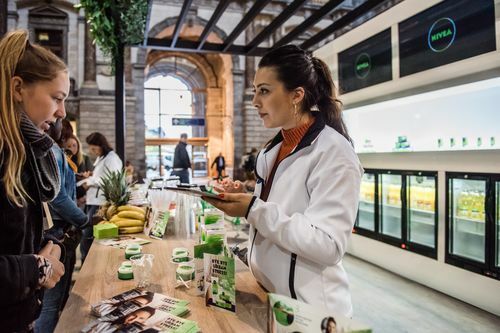 Our team will bring your ideas to life. 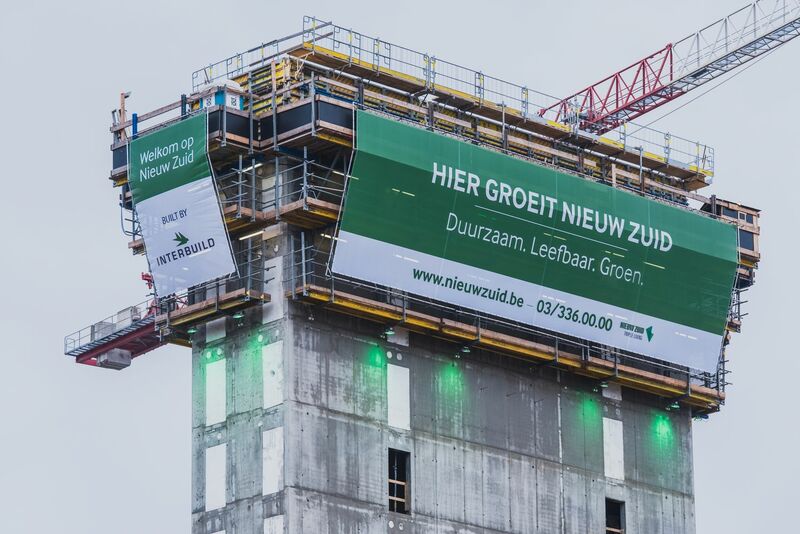 Thanks to our targeted expertise and technical support, we are able to make your concept a success story. 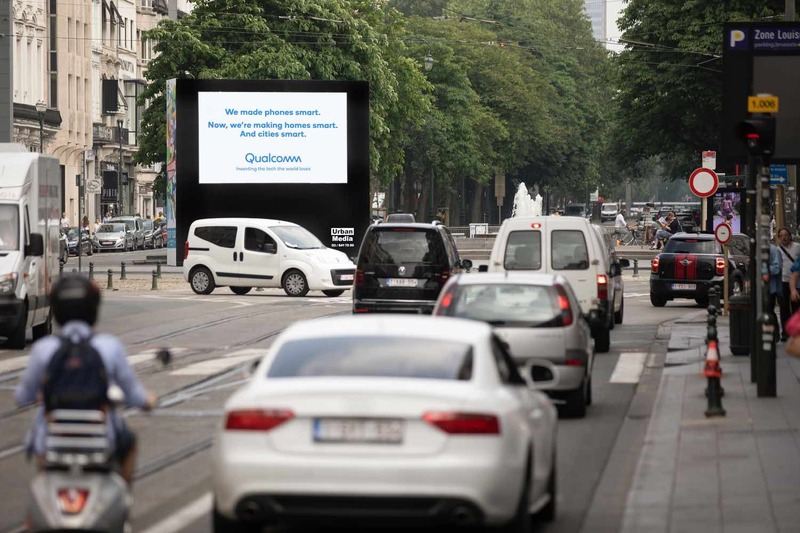 And we can do this with all Clear Channel solutions. 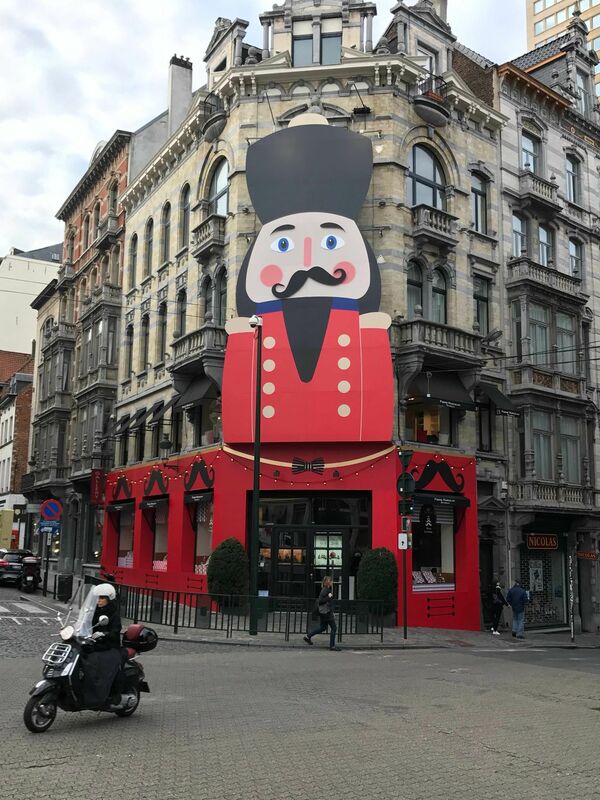 Our goal? Pushing the boundaries of creativity. 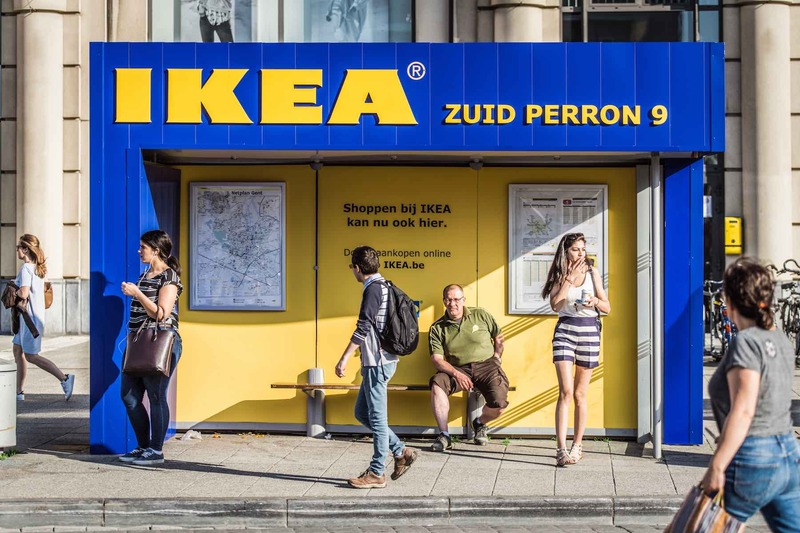 We aim to bring the customer experience to a higher level. 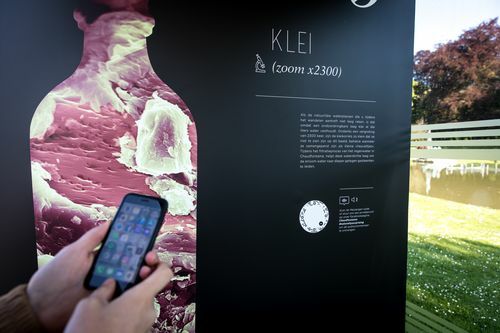 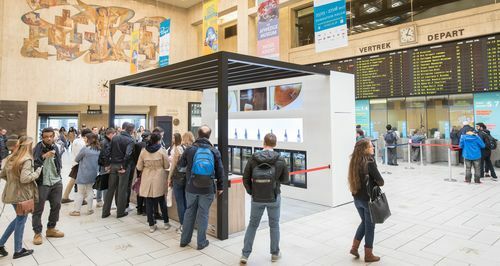 By creating a unique, highly flexible and dynamic ecosystem, we invite the « consumer-on-the-go » to discover products while sharing a unique experience with others. 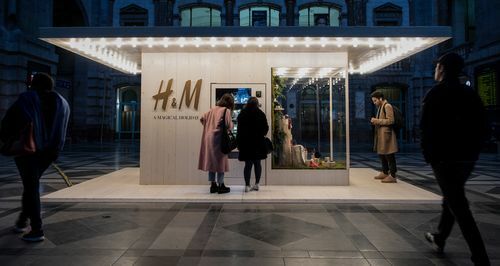 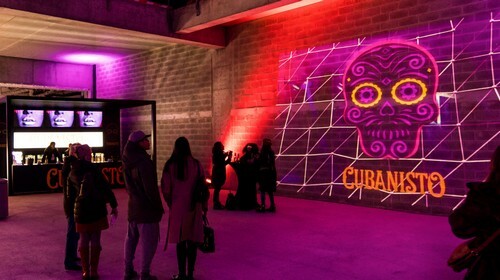 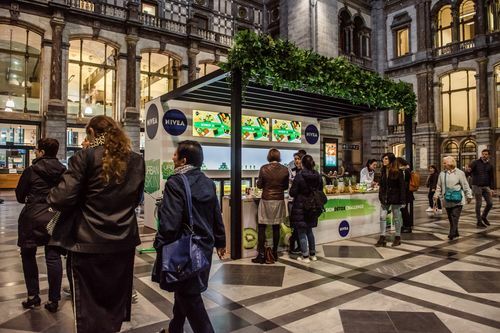 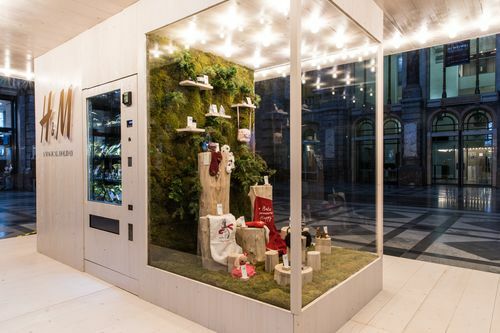 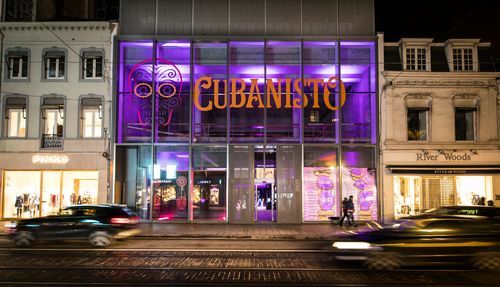 From a pop-up concept store to a totally unusual party or a built-in vending machine, we challenge the consumer experience with the most original and daring ideas. 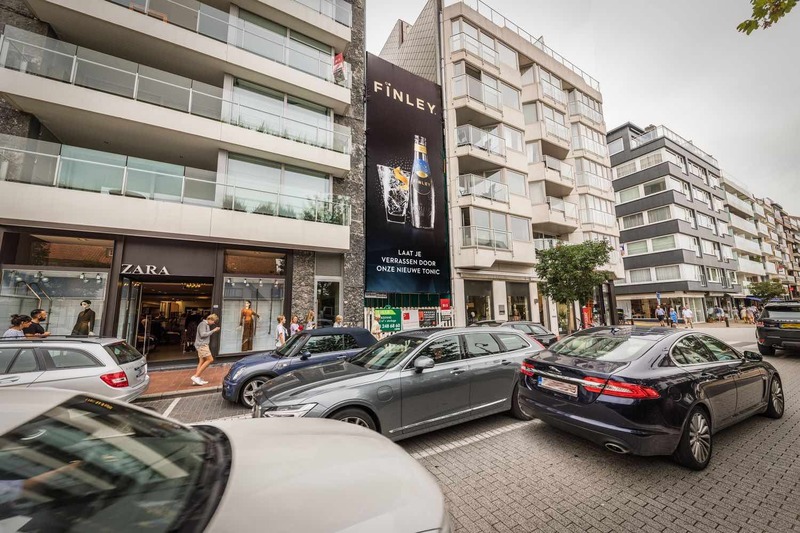 A variety of tailor-made concepts perfectly in-tune with an urban environment.